It’s piperacillin-tazobactam plus vancomycin versus cefepime plus vancomycin. Which is more nephrotoxic? Some recent literature seems to indicate piperacillin-tazobactam plus vancomycin may be more toxic to the kidneys than cefepime plus vancomycin. To gain further insight on this controversial topic, an author from one of the recent studies is interviewed. 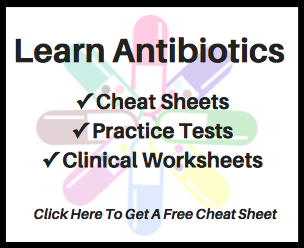 In hospitalized patients who have suspected infections it is common to choose broad-spectrum empiric therapy. The first component of such regimens is typically vancomycin, which provides broad-spectrum Gram positive coverage, including most strains of methicillin-resistant Staphylococcus aureus (MRSA). The second component of these regimens is typically either piperacillin-tazobactam (pip-tazo, brand name Zosyn) or cefepime (brand name Maxipime), which adds broad-spectrum Gram negative coverage, including susceptible strains of the non-fermenting Gram negative rod (GNR), Pseudomonas aeruginosa. Which drug has a better susceptibility profile versus Pseudomonas spp. on the institutional antibiogram? Do I need coverage for anaerobes, which pip-tazo has good activity for, but cefepime does not? Do I need coverage for Enterococci, which pip-tazo can have activity for, while cefepime will not? Do I need penetration to a particular site in the body? Recently, an additional question has been debated in regards to the risk of nephrotoxicity and it has pinned piperacillin-tazobactam plus vancomycin versus cefepime plus vancomycin. Navalkele B, et al. Risk of Acute Kidney Injury in Patients on Concomitant Vancomycin and Piperacillin-Tazobactam Compared to Those on Vancomycin and Cefepime, Clinical Infectious Diseases. 2017; 64 (2): 116-123. Readers may additional be interested to review the recent study by Rutter CW, et al. published in Antimicrobial Agents and Chemotherapy in Februrary 2017, available here. In attempt to gain further insights into this topic I reached out to corresponding author on the Clinical Infectious Diseases article, Dr. Jason Pogue. He was kind enough to accept the interview offer and the following is the result of our correspondence. 1. What prompted your research group to investigate the safety of piperacillin-tazobactam plus vancomycin versus cefepime plus vancomycin? In early 2013 we made some significant changes to our empiric therapy guidelines at the Detroit Medical Center. Based on local susceptibility data (i.e., our antibiogram) we switched our “workhorse” anti-pseudomonal empiric therapy from cefepime to pip-tazo. We also switched from standard infusion (II, 30 mins) to extended-infusion (EI, 3-4 hours) strategies for cefepime, pip-tazo, and meropenem. In the spring of that year (2013) we saw a cluster of cases of presumed vancomycin-associated acute kidney injury (AKI) in our trauma/surgery population. When we retrospectively looked back at these cases it was hard to discern what the cause of the AKI was, as the patients had many competing risks (e.g., often high vancomycin doses, presence of sepsis, concomitant nephrotoxic agents, receipt of intravenous contrast). What was particularly odd about these cases is that often they were otherwise healthy trauma patients and they developed severe/fulminant renal failure requiring dialysis. In this time frame there were a lot of urban legends going around about vancomycin associated AKI and suspected causes. The two that were perhaps of most interest to us were (1) suggested associations with a particular generic product as well as (2) a few unpublished Society of Critical Care Medicine abstracts suggesting an association with combination therapy with pip-tazo (as opposed to other GNR agents). The first thing that we decided to investigate was the generic product association. In this analysis we found no association with a generic vancomycin product and AKI, however in our multivariate analysis the biggest predictor of AKI in the entire cohort was combination therapy with pip-tazo. Now, it is important to note that the study was not designed to look at this combination and we could not rule out confounders. Additionally, around this time I remember seeing the data now published by Gomes and colleagues presented as a poster at the annual Making A Difference In Infectious Diseases (MAD-ID) meeting. I found these to be very intriguing and overall the study to be well done, however the numbers in the matched cohort were small. Indeed multiple data sources were finding somewhat similar occurrences, however these data were either underpowered and/or the study designs were insufficiently developed to truly answer the question. To overcome these issues, we developed our study in adequate numbers with what we found to be the most appropriate comparator group matched on underlying risk factors for AKI. 2. Are there one or two major take-home points to share from your recent publication? At this point I do not really think this is even a question any more. Our study, as well as a few others that have now come out, pretty definitively answer this question. The association looks to be legitimate. Our data were well matched and clearly showed both a higher incidence (about 4 fold) and a more rapid onset (about 2 days) in AKI with receipt of piperacillin-tazobactam plus vancomycin versus cefepime plus vancomycin. One of the most interesting things to me in our study however was the discordant vancomycin trough association seen between the two arms. Vancomycin trough was associated with AKI in patients who received combination therapy with cefepime, but not in those who received it with pip-tazo. This raises a few interesting possible implications. First, I think that it further supports the association between vancomycin plus piperacillin-tazobactam and AKI. The data suggest that this combination (for an unknown reason) is so toxic, that it overrides any trough-based associations. The second implication is that these data could help explain discordant results in the literature with regards to vancomycin levels and AKI, as combination regimens are rarely assessed and might influence whether or not investigators see an association. 3. Did you find any of your results particularly surprising as you performed your analysis? Karino S, et al. Epidemiology of Acute Kidney Injury among Patients Receiving Concomitant Vancomycin and Piperacillin-Tazobactam: Opportunities for Antimicrobial Stewardship. Antimicrobial Agents and Chemotherapi. 2016 May 23; 60(6): 3743-50. However, being that we had a nice cohort of patients on vancomycin and pip-tazo, we asked an additional question of the cohort: What are predictors of AKI in patients who are in the cohort? We were very intrigued to see the association between duration of combination therapy and incidence of AKI. The highest daily risk of AKI was on days 4 and 5 of combination therapy. We found this to be an extremely valuable stewardship finding- because bottom line- very few people should still be on both vancomycin and pip-tazo on day 4 or 5. If we obtained the appropriate diagnostics we should have been able to de-escalate or discontinued by this time frame. Thus, here are further data to support a fundamental stewardship principle. 4. Are there specific circumstances when a patient is receiving vancomycin and needs anti-pseudomonal coverage, you would advocate for cefepime over piperacillin-tazobactam due to a perceived safety benefit with the cefepime option? Here is where it starts to get tricky. We initially switched over to pip-tazo due to enhanced activity against Gram-negative pathogens at our hospital. Therefore, it was never as simple as “let’s switch back to cefepime” as our workhorse as we did not want to put patients at risk for inappropriate empiric therapy, and adding an aminoglycoside to cefepime as a method to decrease toxicity is just an impossible sell. In addition, there is not a desire from our stewardship team to give empiric linezolid to everyone as empiric MRSA coverage given the known association between that strategy and the development of linezolid-resistant Gram-positive organisms. Therefore, while our current practice has been to move back to empiric cefepime for most patients, our intensive care unit pharmacists and other floor clinicians are primed to look for patients most likely to need pip-tazo over cefepime (e.g., recent cephaslosporin exposure, history of cefepime-resistant but pip-tazo susceptible organisms). When we see those patients we will give empiric linezolid/pip-tazo. We are currently in the process of doing a more robust epidemiological study to find risk factors for cefepime resistance, but pip-tazo susceptible isolates, which we hope will further assist in honing our practice. 5. What do you suppose the next step is in studying the relative safety of piperacillin-tazobactam plus vancomycin versus cefepime plus vancomycin? I think the million dollar question that remains is the why. What about this combination explains this association, because on the surface it does not make a whole lot of sense! I would like to express my utmost gratitude to Dr. Pogue for taking time out of his busy schedule to complete this interview and provide a valuable perspective. 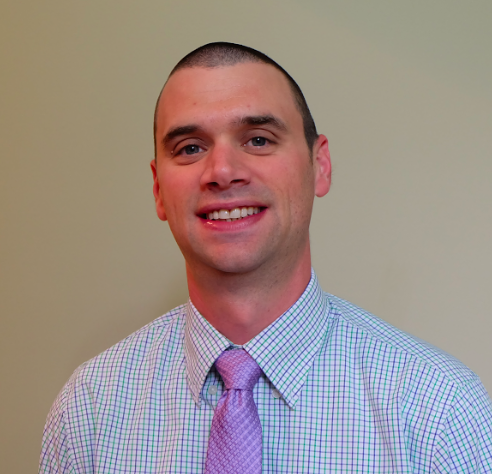 Dr. Jason Pogue is an infectious diseases clinical pharmacist at Sinai-Grace Hospital in Detroit, MI. He also serves as an assistant clinical professor of medicine at the Wayne State University School of Medicine. He furthermore serves as an adjunct professor for multiple pharmacy schools where he trains fourth year pharmacy students on their clinical rotations in infectious diseases and antimicrobial stewardship. Dr. Pogue received a bachelor degree in Chemistry from Gannon University in Erie, Pennsylvania, before obtaining his doctor of pharmacy degree from the University of Pittsburgh. He then completed a PGY-1 residency at the University of Pittsburgh Medical Center, after which he obtained his PGY-2 ID training at the University of Michigan Health Systems. His research interests focus on epidemiology and treatment of multi-drug resistant Gram-negative organisms, and antimicrobial stewardship and he has co-authored over 60 peer reviewed articles, over 75 abstracts and multiple book chapters in these areas. Dr. Pogue is a recognized leader in Gram-negative resistance and antimicrobial stewardship and has presented research or has been an invited lecturer at many national and international conferences. Dr. Pogue was recently invited to become an advisor for USCAST, an organization that looks to standardize antimicrobial susceptibility breakpoints in the United States. He also serves as the clinical pharmacy coordinator for two National Institutes of Health (NIH) funded international studies targeting strategies to optimize polymyxin usage.